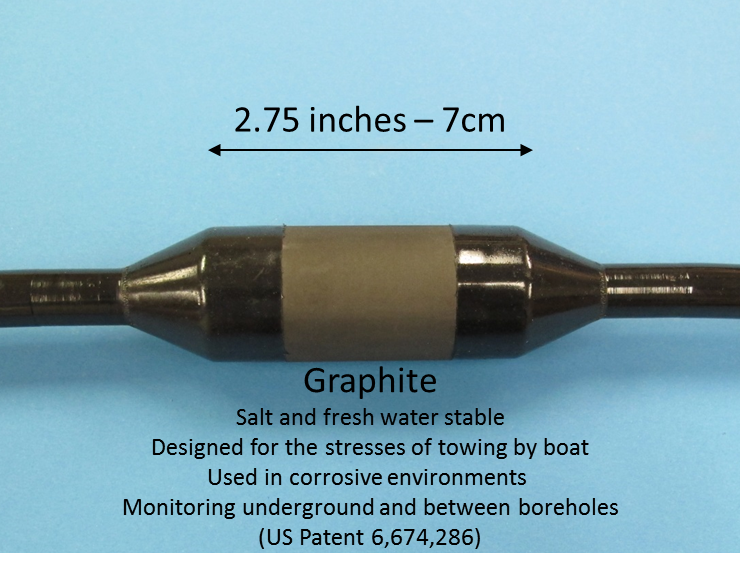 AGI’s Passive Graphite Electrode Cable (U.S. Patent 6,674,286) is used in corrosive environments and where electrolysis—metal contact with water—can occur. Instead of thermoplastic—which is less expensive and easier to apply—we use thermoset polyurethane which ensure that our electrodes chemically adhere to the outer jacket of the cable and become completely waterproof and heat resistant. This means that you can survey in liquid environments without gathering noisy data caused by poorly insulated cables. ERI (electrical resistivity tomography and IP tomography) compatible. Imaging of both fresh and salt water along shorelines. Cross-borehole 2D and 3D surveys. Corrosive environments like salt water and CO2 sequestration sites. Time lapse monitoring applications (buried within landfills, dams, boreholes, etc.). 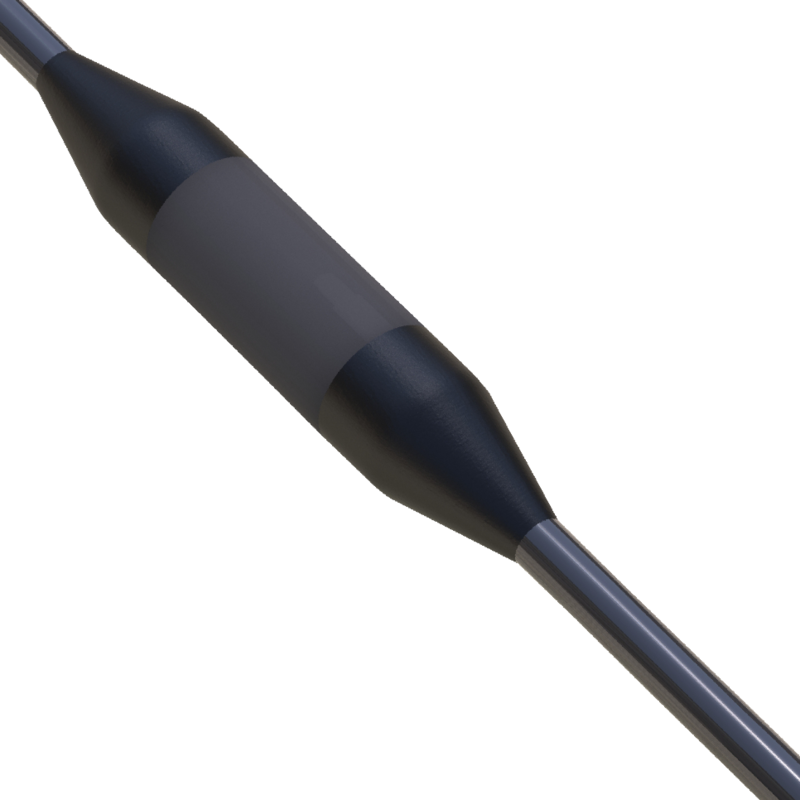 Each electrode is 2.75 inches (7 cm) in length. Made of non-corrosive, non-hazardous graphite. Designed for the stresses of boat towing.